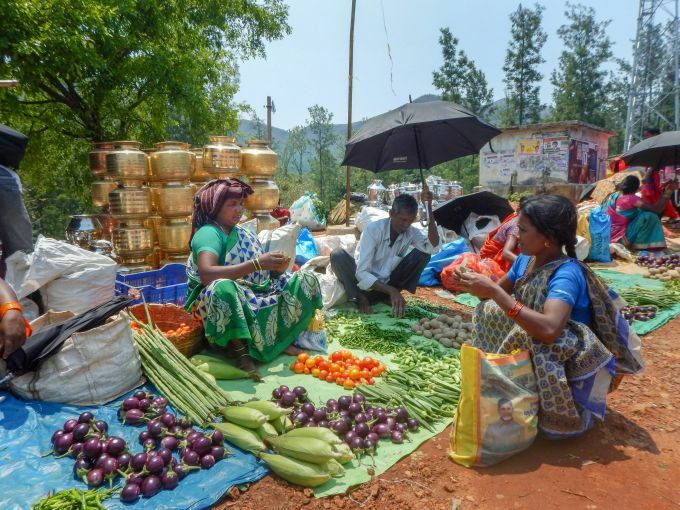 Visakhapatnam: Borra tribals sell vegetables and other produce at a local haat in Araku valley of Vishakapatnam district, Sunday, April 07, 2019. 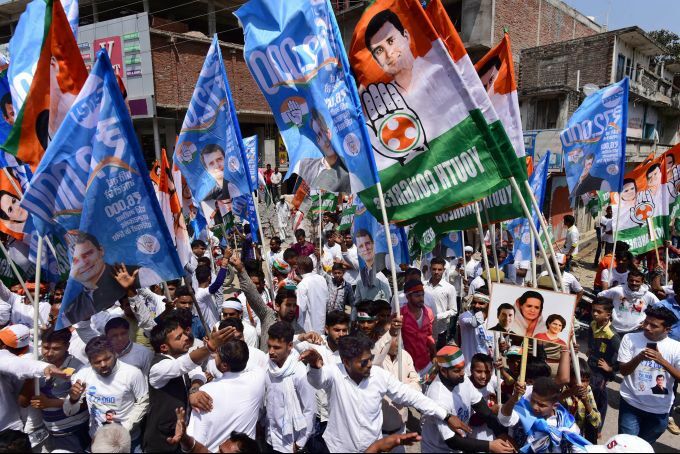 Amethi: A view of the crowd during Congress President Rahul Gandhi's roadshow before he filed his nomination papers for the Amethi Lok Sabha seat, in Amethi, Wednesday, April 10, 2019. 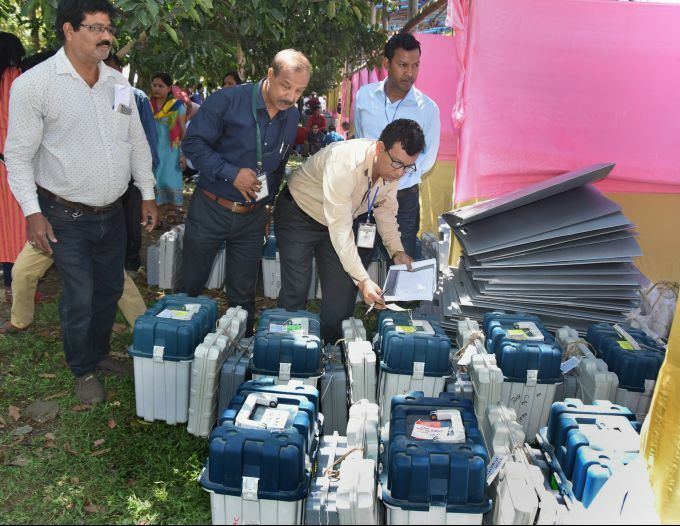 Sonitpur: Electronic Voting Machines (EVM), Voter-Verified Paper Audit Trail (VVPAT)’s and other election materials being distributed among polling officers, ahead of the first phase of Lok Sabha elections, in Tezpur, Sonitpur District, Wednesday, April 10, 2019. 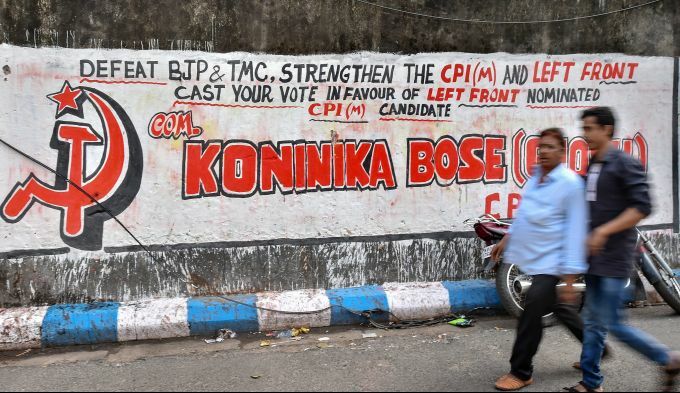 Kolkata: Pedestrians walk past a wall graffiti painted in support of the Left Party, ahead of Lok Sabha polls, in Kolkata, Wednesday, April 10, 2019. Voting will take place in seven phases over six weeks, last phase of Election in Kolkata will be held on May 19, 2019. 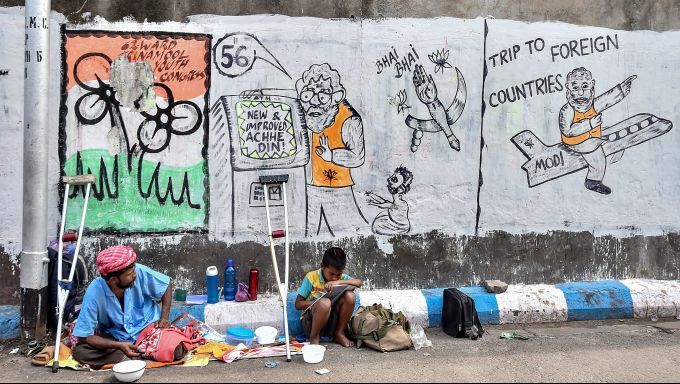 Kolkata: A differently-abled man and a child sit in front of a wall graffiti painted in support of TMC party, ahead of Lok Sabha polls, in Kolkata, Wednesday, April 10, 2019. Voting will take place in seven phases over six weeks, last phase of Election in Kolkata will be held on May 19, 2019. 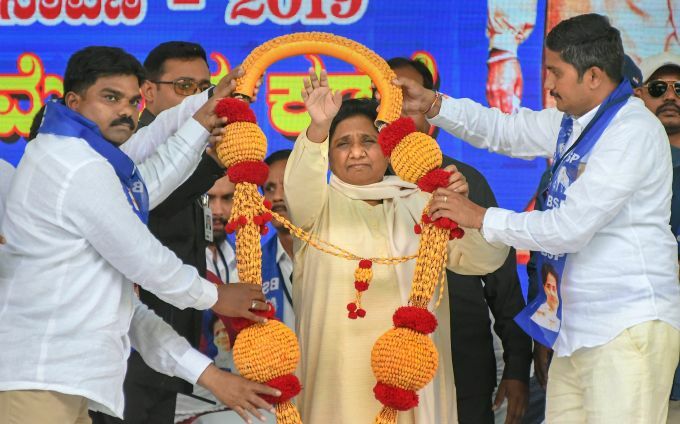 Mysore: BSP supremo Mayawati during an election campaign rally, ahead of the Lok Sabha polls, in Mysore, Wednesday, April 10, 2019.